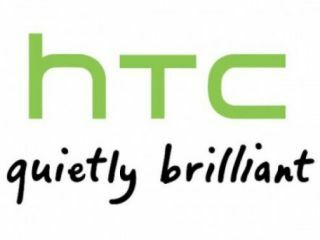 HTC has issued a rather stoic summary of its finances for the last three months of 2011, revealing that its net profits were 25 per cent lower in Q4 compared to the same quarter in 2010. The phone maker made TND $11,017 million (£235 million) in Q4 2011 compared to $14,797 million (£315 million) in Q4 2010. The drop in profit doesn't come as much surprise given that the company already reported a 30 per cent drop in sales in November 2011 and revised its profit forecasts for the quarter down by 20 per cent in the same month. But while the company said it didn't expect to see any growth in Q4 compared to 2010, it made no mention of expecting to see such a big drop. The company's net income for the year was still up by a significant amount in 2011, though – a total of TND $62 million (£1.3 billion) compared to 2010's profit of TND $39.5 million (£844 million). HTC enjoyed phenomenal growth in 2010 and early 2011 as it cemented its status as many people's Android manufacturer of choice. Over the past six months its stellar growth has waned, however, after new smartphones failed to garner much excitement and its first tablet, the HTC Flyer, basically flopped. Still, 2012 could turn it all around again; we're looking forward to seeing what HTC has up its sleeve for Mobile World Congress 2012, likely to include the quad-core HTC Edge and HTC Quattro, as well as the snazzy-looking HTC Ville. Unfortunately for HTC, its less than brilliant financial announcement comes as Samsung is set to announce record revenues thanks in no small part to the success of its much-lusted-after smartphones like the Samsung Galaxy S2 and Galaxy Nexus.